Blue Lane Events is committed to protecting the privacy of our website visitors. 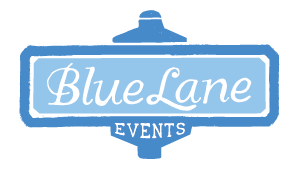 The following statement discloses the data collection and usages for BlueLaneEvents.com By using the Blue Lane Events website you consent to the data practices described in this statement. Google Analytics Demographics and Interest Reporting: We have implemented and use Google Analytics code to gather third-party audience data (such as age, gender, and interest) for tracking and marketing efforts. Such code does not collect any personally identifiable information. You can opt out of this tracking by controlling what you see through the Digital Advertising Alliance website: http://youradchoices.com/ You can also get the Google Analytics Opt-out Browser Add-on here: https://tools.google.com/dlpage/gaoptout . This website may contain links to other websites. We cannot be held responsible for their content or the information they collect. We are not responsible for the privacy policies of other websites that are linked to us. You should consult the privacy policies at those sites to determine how your information may be used. This privacy statement applies solely to information collected on BlueLaneEvents.com. If you have questions about this privacy statement, the practices of this site, or your dealings with this website, you can contact us at 860-415-6338.